This is a die-cut Esslinger’s Ale porcelain sign. 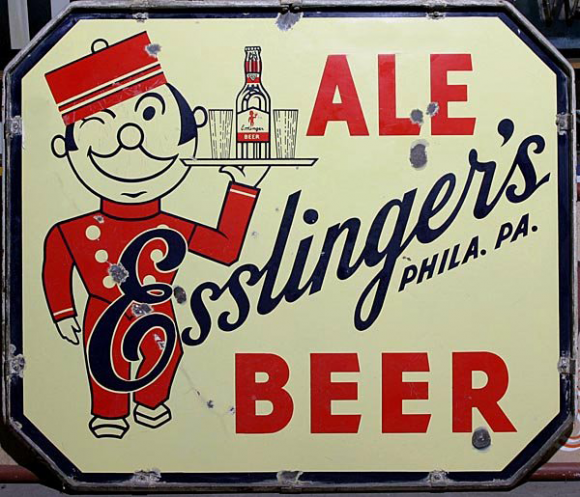 This particular Esslinger’s Ale sign is predominantly white and features a bellhop dressed in red carrying a bottle of Esslinger’s and two glasses. It reads, “Esslinger’s Ale, Beer, Phila. PA.” and has a black border.